The regional competition for the Miss pacific islands 2018 began Saturday evening with an orientation program at the Tano’a Hotel. The Reigning Miss Pacific Islands – Matauaina Toomalatai left some words of encouragement for the contestants vying for this year’s crown. The contestants then drew their order of appearance for the program including their pre-pageant interview topics which include health, education, politics, culture, environment and empowerment of women. In first place is Miss American Samoa – Magalita Johnson, 2nd place is Miss Tuvalu – Emeli-pelesa Panapa, 3rd is Miss Cook Islands – Lydia Simonis, 4th is Miss Papua New Guinea – Leoshina Kariha, 5th is Miss Samoa – Sonia Piva and 6th is Miss Tonga – Kalolaine Funganitao. Also attending the program were former Miss Heilala pageants who has been assigned to take care of each of the contestants. 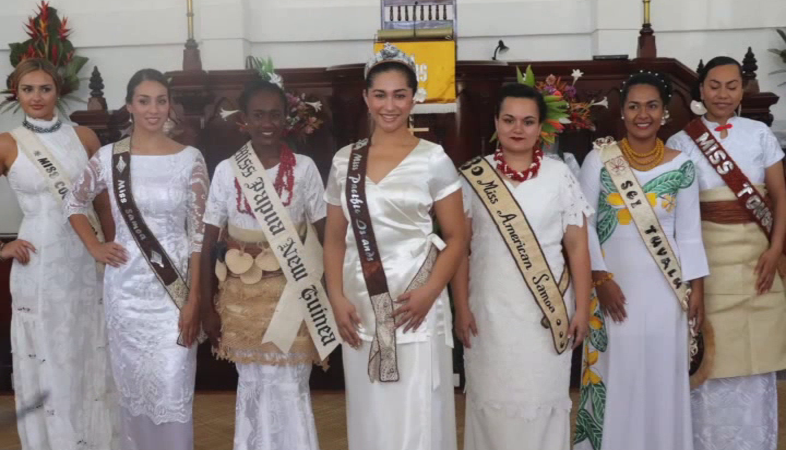 This includes the Miss Heilala 1984- ‘Asupa Motu’apuaka, Miss Heilala 2002 – Phyllis Tohi Sullivan, Miss Heilala 2000 – Christina Kaitapu, Miss Heilala 2017 – Ophelia Kava, Miss Heilala 2001 – Christie Nau and Miss Heilala 1992 – Dafolsa Bloomfield. 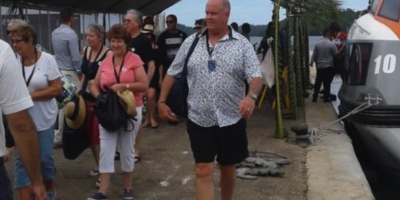 Meanwhile, Their Majesties, King Tupou VI and Queen Nanasipau’u hosted yesterday’s Royal Luncheon at the Polata’ane Residence to welcome the contestants vying for the crown of this year’s Miss Pacific Islands competition following a combined prayer service held yesterday morning at the Centenary Church in Nuku’alofa. 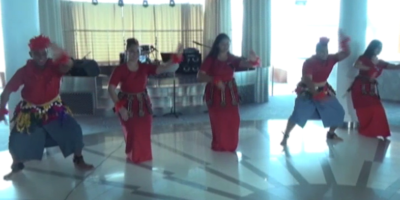 Six contestants are vying for this year’s Miss Pacific Islands title with the theme – Magnificent Pacific.